Backstrap weaving-cross knit looping tutorial and ikat. ########################################## IKAT!-Tying and dyeing warps to make patterns before weaving. 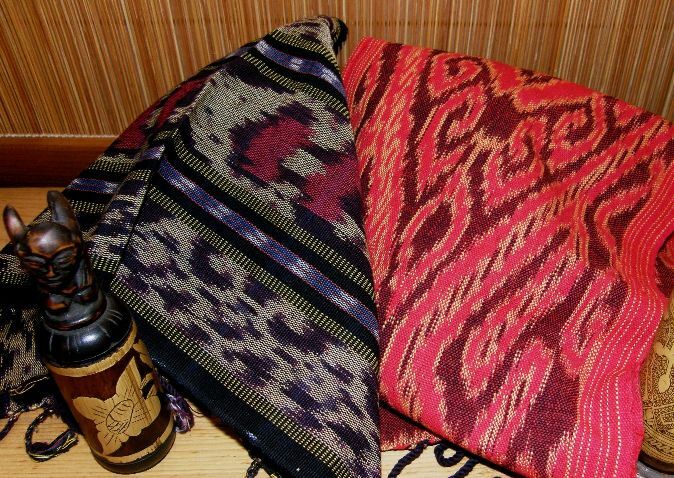 One of my old school friends recently went to Bali and, knowing about my weaving interest, sent me a couple of ikat pieces that she had bought. Gorgeous! This, of course, reminded me of the rolled up warp in a plastic bag that has been sitting in the back of the closet since 2006 – my ikat experiment. I have to admit that I never used to be a big fan of ikat. I didn’t much care for the “bluriness” of the designs-it all just looked like something that had gone horribly wrong. I like clean, crisp, sharp designs which is why I like double weave so much. Then I discovered in books the ikat woven ponchos of the Mapuche people of Chile and Argentina with their big, bold white geometric designs on black. From a distance they didn’t even look like ikat and I wondered how they managed to get those warps to stay so nicely in place and not blur the image. 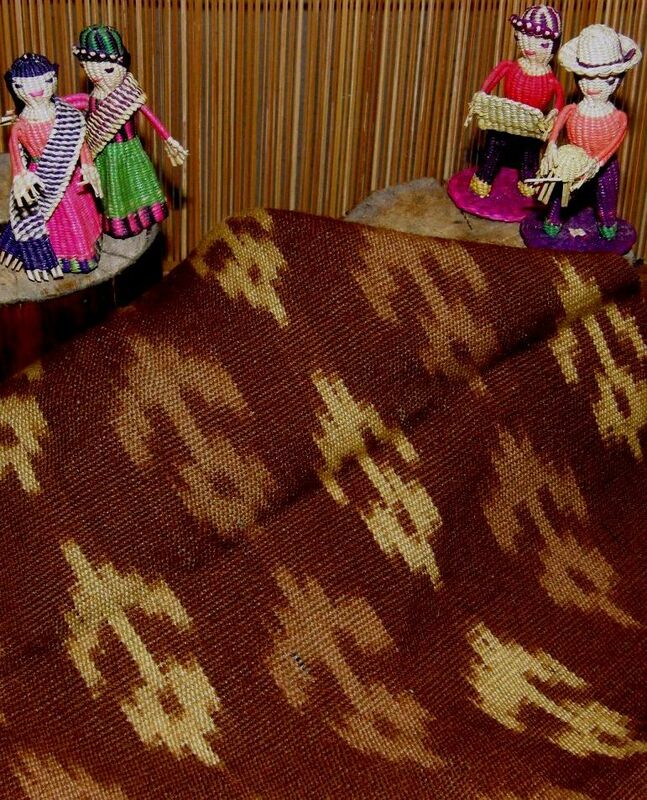 It was only after going to Ecuador in 2005 and seeing and touching ikat pieces, meeting their creators and learning a bit about the process that I began to appreciate that the bluriness that I had found so unattractive was the very charm and appeal of ikat designs. It changed my whole way of looking at ikat and this was further reinforced when I went to Guatemala in 2008. In Guatemala I was surrounded by ikat but, unfortunately, didn’t get to sit with any ikat weavers. I always seemed to be in the wrong place at the wrong time but I have made that my goal for my next trip to Guatemala. I actually met my frst ikat weaver right here in Bolivia. When I stayed with Felicia in Candelaria, she was weaving complementary-warp chuspas and hangings which were to be sold in the museum in Sucre. 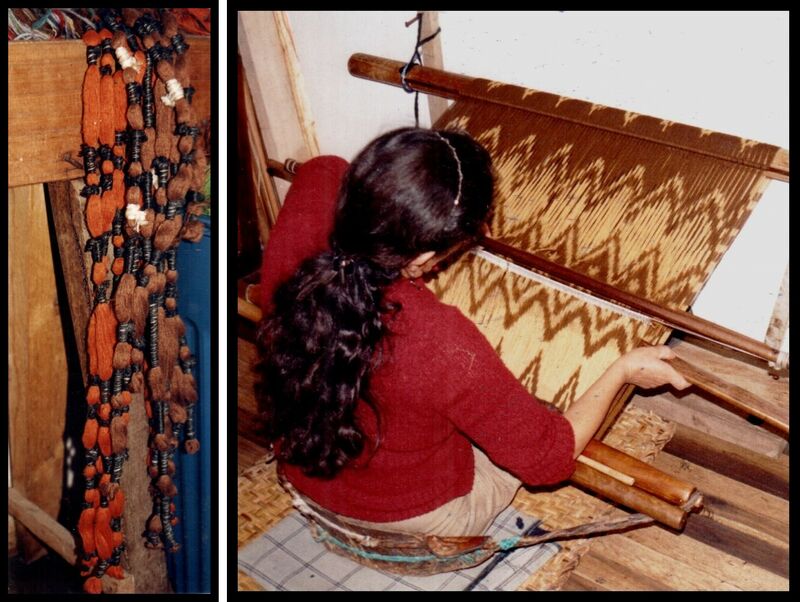 For herself, she was weaving an enormous ikat bed cover incorporating hers and her husband’s names. 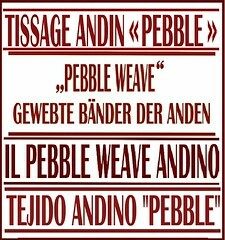 She had started it shortly after the birth of her first son and, as he was already four years old at the time of my visit, it is obvious that she had little time to devote to her own weaving. Felicia's ikat bed cover in progress. You can make out her name in ikat-yellow letters on a green background. There is a lot of ikat weaving being practiced in the small towns around the city of Cuenca in Ecuador. Various studios sell their pieces to locals and tourists. They are all very competitive, and understandably, are not so willing to share their weaving “secrets”. I spent a morning with Carmen in the town of Bulcay. She explained the warp tying process, showed me the natural dye samples that she uses and allowed me to stay and watch her weave. I was pleased to hear that they wrap the warps with cabuya fiber which is agave, as I had bought several skeins of handspun cabuya fiber earlier in my trip. The idea to try this when I got back home was already forming in my mind. As it turned out there was a secret to the cabuya fiber which I hadn’t been told! I was hoping that she would sell me one of her warps that was ready to go on the loom to avoid the difficult wrapping process but she couldn’t be persuaded. Carmen at her backstrap loom and a wrapped and dyed warp ready to go on the loom. One thing that is peculiar to her loom is the “rolling stick” which you can see in the above photo just below the upper loom bar. 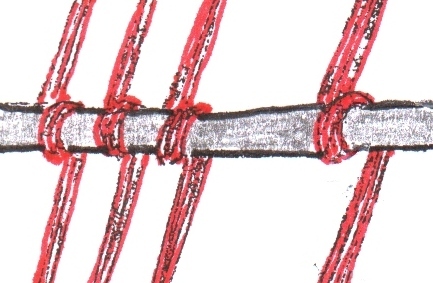 The warps are wrapped around this stick in groups of ten and “locked’ into position. This helps to stop the warps from slipping and excessively blurring the design. I bought one of Carmen’s scarves and then headed to the museum in nearby Gualaceo. An ikat scarf made by Carmen posed with another craft of the region-figures made with 'paja toquilla". It seems that this museum is not high up on the typical tourist itinerary as it was completely deserted. Anita, who attends to visitors was in the patio enjoying the sunshine and weaving a placemat from paja toquilla. This is the straw that is used to make Panama hats and, in order to explain the process to me, she allowed me sit with her in the afternoon while she wove a miniature hat for me and told me about the typical ikat shawls of Cuenca called paños. These are worn by the group of people called cholos who fall between indigenous and whites in the social-economic hierarchy. To me what is most outstanding about these shawls is the fringe which is often almost half as long a the shawl itself. The fringes are knotted into a network and the knots are spaced in order to form motifs – birds, flowers, even words, all formed with knots. Sometimes embroidery is done on the knotted network or the spaces between knots are filled in with thread to form patterns. The fringe is starched hard so that the designs can be appreciated when the shawl is worn. LEFT: A woman is carrying a rare old cotton ikat shawl in Cuenca. 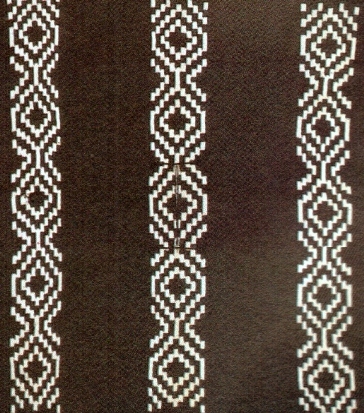 RIGHT: An ikat shawl with embroidery on a knot network fringe at the Gualaceo museum. 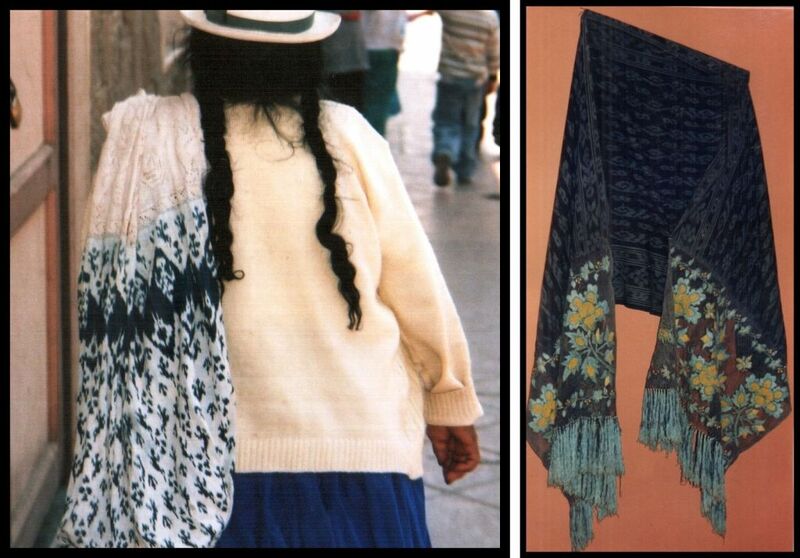 Original shawls were made in cotton with indigo patterns and I had only managed to find two in antique stores in Cuenca until one day I was surprised to see the lady pictured above walking down the street with one draped over her shoulder and managed to snap a photo. Now cotton and especially indigo have become too expensive and shawls are made from wool with synthetic dyes. 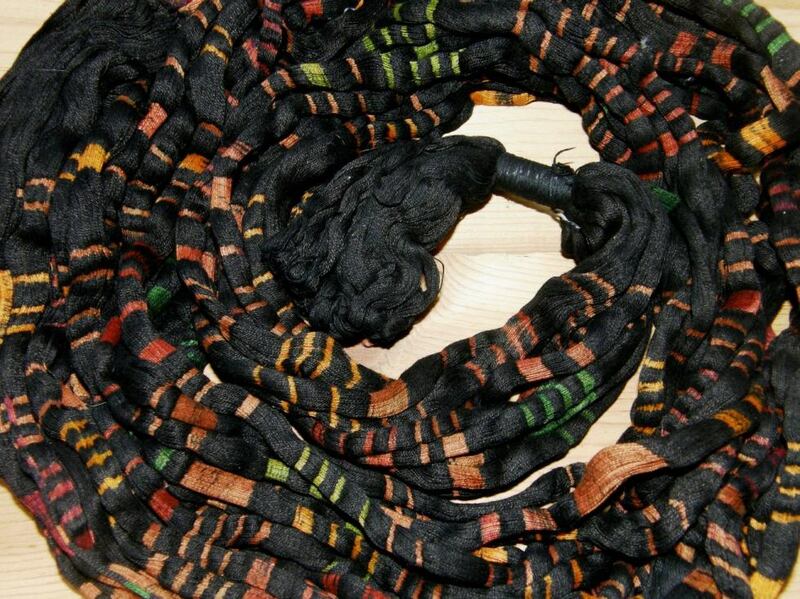 A few weavers, like Carmen in Bulcay, are working with natural dyes. Anita, wearing a beautiful woven ikat patterned vest is weaving a miniature hat for me from toquilla straw. It is shaped by weaving it around a wooden mold. The finished hat sits with two tiny pill boxes also made from this straw. Heading north from Cuenca I saw that men in the town of Cañar wear ikat patterned ponchos when they are out and about in their best clothes on Sunday market day. The weavers of Cañar make incredibly fine warp faced belts in sewing thread with a complementary warp technique. Many men at the market were proud to show off their belts to me but were shy to be photographed. Eventually I was directed to the prison which is right in the middle of the town amongst the shops and there I bought belts from the inmates. One gentleman wove motifs by copying the designs from old belts that had been photcopied and he kindly allowed me to go across the street and make copies of those sheets for myself. Cañari men on market day and the typical belts of the region. One belt has animals and the other, which unfortunately is hard to make out, has farming implements. But, back to ikat. In 2008 I went to Guatemala and enjoyed seeing beautiful ikat designs on the typical skirts all around me in the streets. In Sololá, near the shores of Lake Atitlan, the market was full of ikat fabric ready to be used as skirts. And there I found what I was looking for!! Apparently I am not the only weaver who would like to weave an ikat piece without the tedious task of wrapping the warps and the messy process of dyeing them.There was table after table of pre wrapped and dyed ikat warps ready to go on the loom. It was a bit of a lucky dip as you had no idea what design you were going to get although I had the stall owner spread out part of my chosen warp to show me more or less what I could expect. Here is my cotton ikat warp. You can see that I haven't mustered the courage yet to put it on the loom and weave it. Between my trip to Ecuador in 2005 and the one to Guatemala in 2008, I experimented a bit with ikat at home. 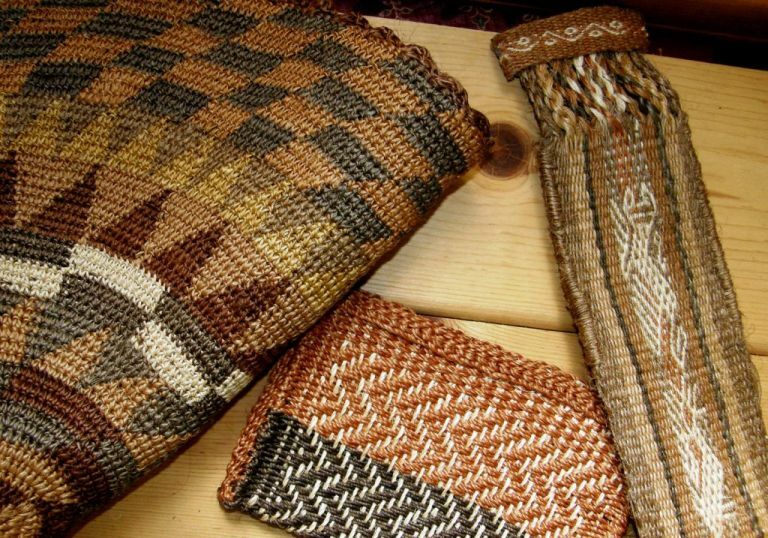 I had my cabuya fiber, I made a warp and was ready to wrap for a very simple design based on the Cambodian silk piece pictured at left that I had bought in Australia. Things didn’t go exactly smoothly. Firstly, I don’t know what possessed me to use my own handspun llama fiber for this experiment-uneven spinning, uneven stretch on the loom. Secondly, my cabuya fiber was hard and wiry and absolutely refused to stay put. There was no way I could make it hold a knot. It was then that I discovered one of those crucial bits of information. You need to use cabuya nahui – nahui meaning “soft”. A different kind of agave or, perhaps, agave that has been treated a certain way-I have yet to find this out. Determined not to give in, I experimented with other material and then discovered that cassette tape makes an excellent wrapping material. You can pull it really tight and it won’t snap and it holds knots beautifully. The question was, and still is, how would it stand up to being boiled during the dyeing process? Well that question remains unanswered as I got hold of cold water dyes from Australia. Unfortunately, what was labeled Mexican red and promised to be a rich chilli pepper color turned my llama fiber Barbie pink! Well, you can see the results below. The cassette tape worked perfectly in cold water, by the way. It was really exciting removing the warp from the dye bath and undoing the first tie to reveal the white yarn. The warp in the plastic bag that is stuffed in the back of the closet is the one pictured above still wrapped in its cassette tape. Don’t even ask how long it took to wrap all those warps! This is a Navajo wool warp and I am waiting to get hold of more Dylon cold water dye which seems to be no longer available in the craft stores in Australia. So this is where I stand with my ikat experiment so far. 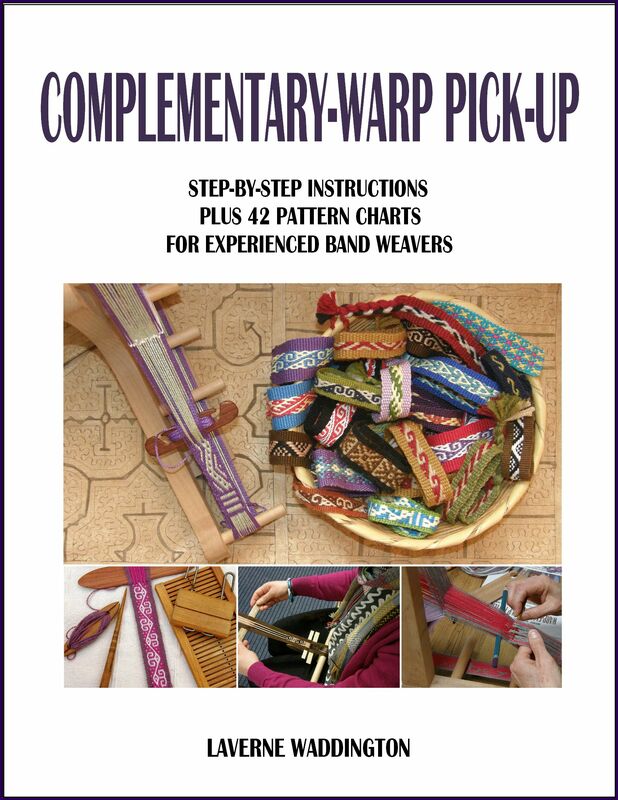 I am sure that once I have wrapped, dyed and woven a complete piece on my backstrap loom all on my own, I will have an even greater appreciation of this intriguing technique. By the way, the cabuya fiber didn’t go to waste and was put to good use. A crocheted mat, cosmetics bag and tool case made with cabuya fiber. I wove the cosmetics bag in the middle with a cooperative of women who work with this fiber in the Intag Valley which is on the western slopes of the Andes of Northern Ecuador. This is in an area of cloud forest-a spectacular region! I dyed the handspun fiber that I brought home and wove the tool case on the right in pebble weave on my backstrap loom – talk about sticky warps! I bought the round crocheted mat from the cooperative. I have a lot to tell you about this fiber and my stay in the Intag Valley and will do so in a future post. 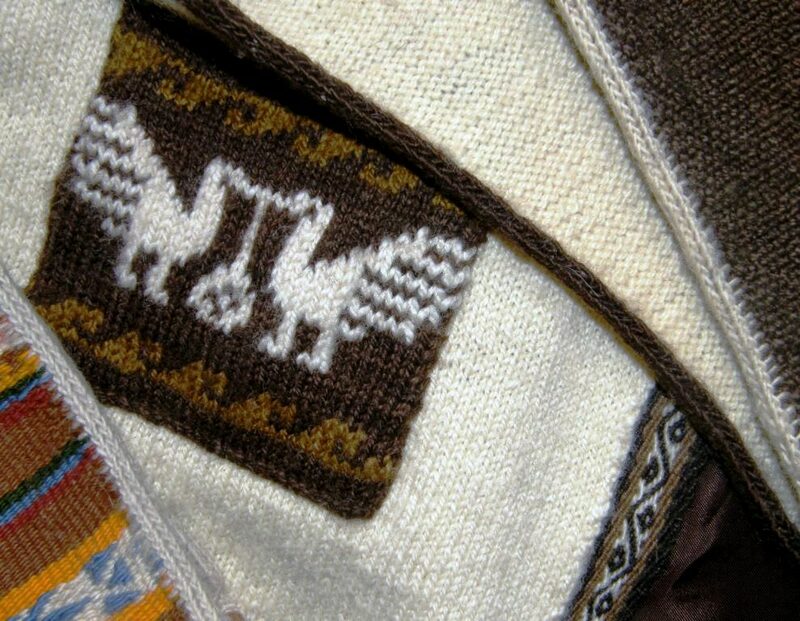 You may remember in this previous post that I showed you the cross knit looping that I was taught in Potosi and which my teacher and I used to edge a woven chuspa. I have made a tutorial page for this technique which you will find here. When I lived in southern Chile, I had access to a lot of sheep wool so I spun some and knitted a vest which I edged with a woven band and cross knit looping. I have used this technique to edge woven bags as well. « Backstrap Weaving-Sitting at my loom and Salasaca strawberries. Lovely and interesting article! 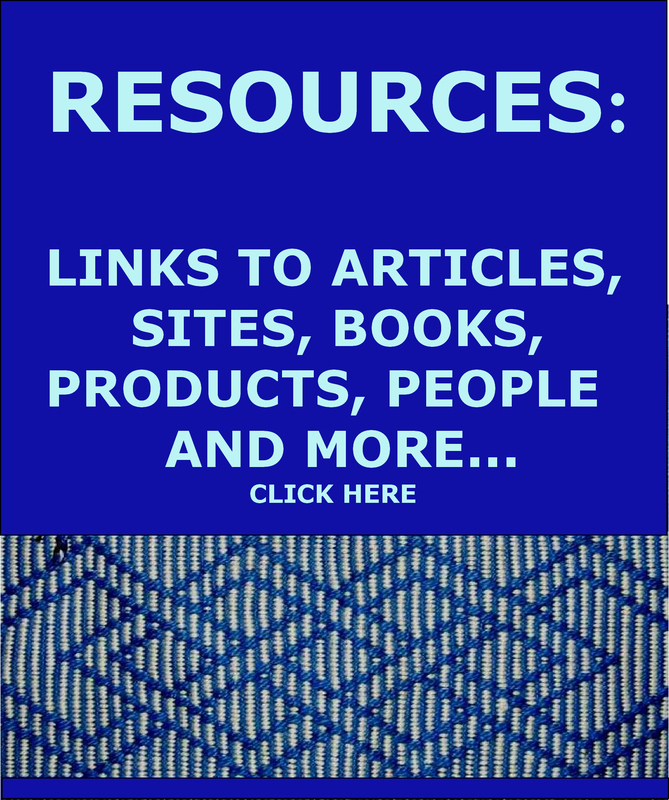 I didn´t know there is Ikat weaving in south america! They have such a rich weaving history it is just amazing! The cassette tape is a great idea for recycling! Once upon a time when I tried Ikat I used a kind of cheap ribbon called Polyband in germany (the one which curls if run over a sharp edge : http://www.steckschaum-produkte.de/oscommerce/images/1343_Kraeuselband.jpg). Thanks for writing these nice informative blog posts for us!! How do you always manage to surpass your previous post? This took my breath away. I have always loved ikat and felt that was way past something I could ever do. This post is making me think that I need to find a way to quit work to weave. Could there ever be anything more beautiful?? Hola Warmi! Cuánto me gusta lo que posteas en tu blog, soy tu fiel seguidora, solo que debo traducir la página 😦 Es tan valiosa la información! Saludos grandes. Me gustaria mucho tener DOS paginas en el mismo blog en ambos idiomas. Me gustaria tener mas tiempo para hacer esto. How beautiful! 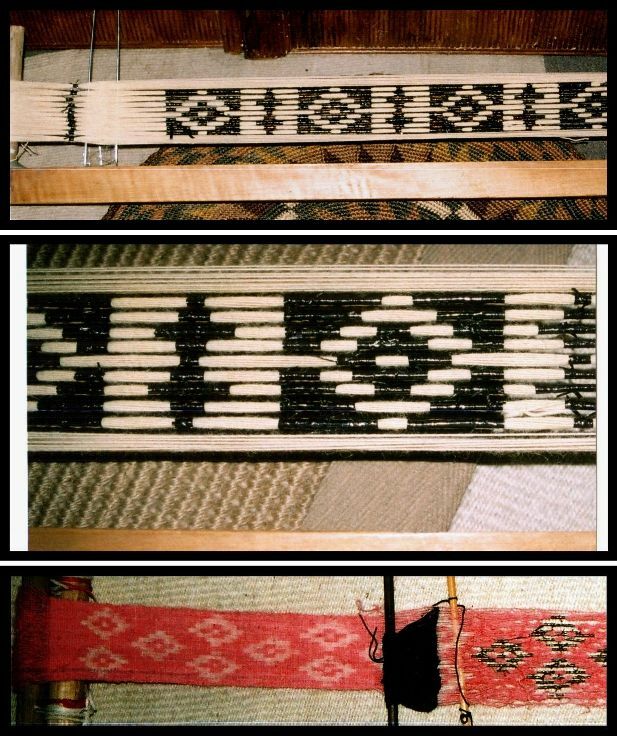 Thank you for posting both your tries of this, and what you’ve found around the world from weavers doing this ikat dying process. So interesting! I was glad to see how you did it. That makes sense. And those beautiful fringes… I can’t get over them. So very pretty! I love ikat and I enjoyed reading your post and viewing all the wonderful pictures. Thank you, Laverne! 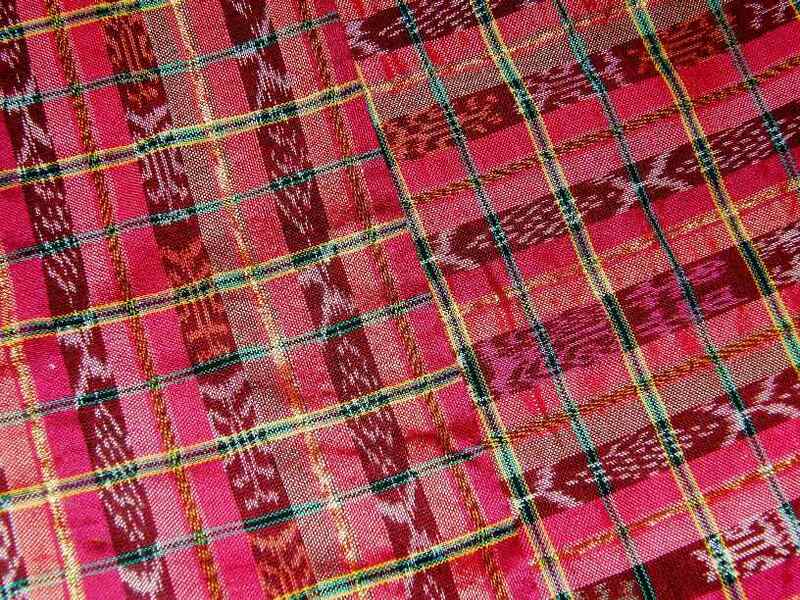 Can you tell me if the ikat is primarily warp faced or plain weave? There seems to be some of both. I have seen warp faced (Carmen’s piece), warp dominant and balanced (the big red skirt piece). 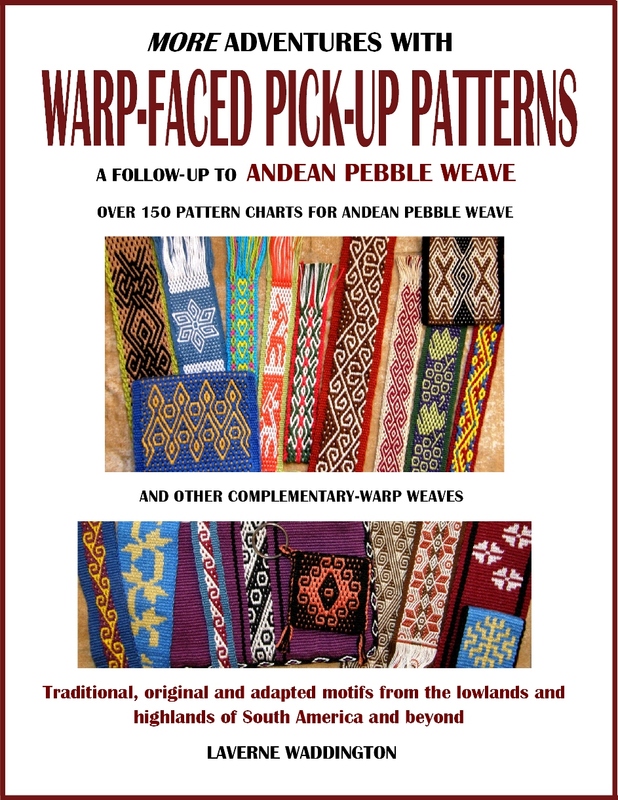 There is even weft ikat! Check my blog again…I’ve added my name. Thanks for bringing that lack to my attention! –I love all the new things I learn from your posts! Thank you for sharing them! Great. I can link to you this week! 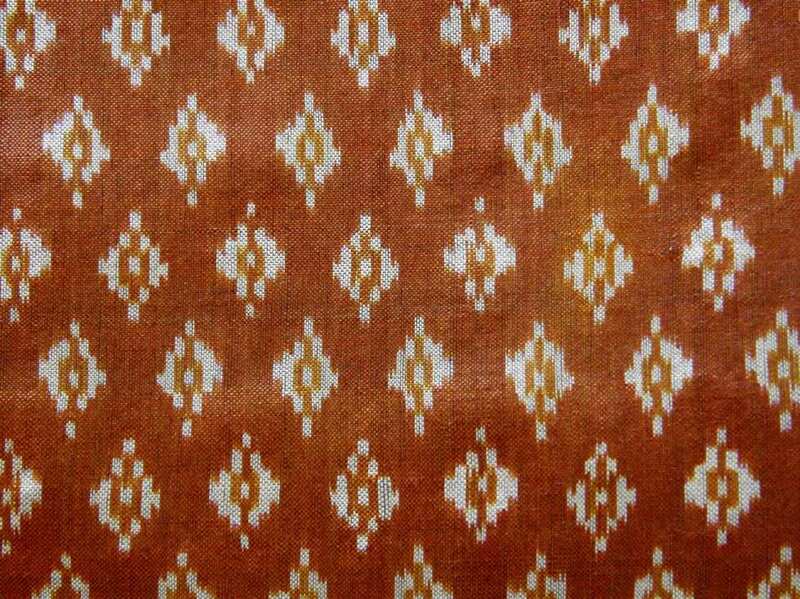 I am editing the Wikipedia article for Ikat. 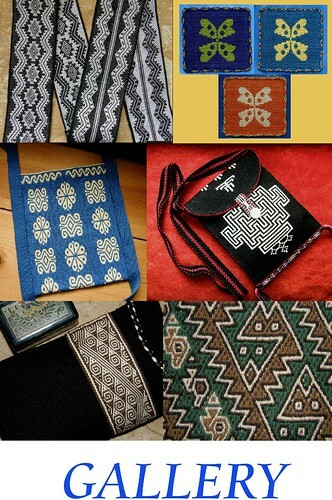 We would be most honoured if we may be allowed/given permission to use one of your images of South American ikat to balance the article.